Why does the Connecticut River run between New Hampshire and Vermont? Why not call it the Vermont or the New Hampshire? There is a reason for everything. In our age of information abundance, one can find the answer simply by going to “Google.” But not all questions need to be answered. Over-definition is also a quality of this age, defined by what Max Weber called “disenchantment,” in which everything needs to be proved and nothing is left to the imagination. There is also the question of who legally controls a river that lies between two states or countries. Do you simply paddle in the middle to avoid all conflict? In the case of Vermont and New Hampshire, the answer appears to be more complicated, but who cares on a nice summer’s day? 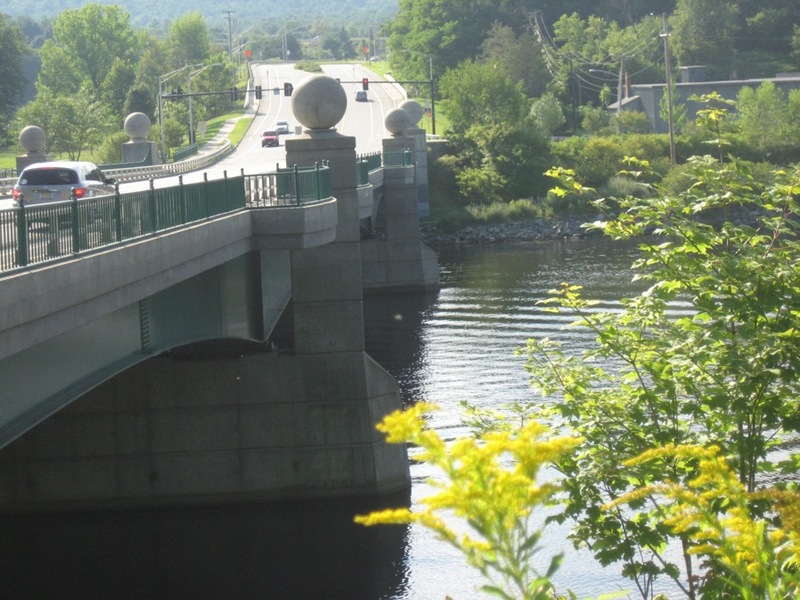 Despite the ambiguity associated with the provenance of the Connecticut River’s name, Vermonters and New Hampshirites have gotten together to produce some pretty auspicious examples of transportation architecture to memorialize the crossing between the its two banks. The bridge between Hanover, New Hampshire, and Norwich, Vermont, crosses some of the most idyllic rural scenes known to humanity true tableaux vivants, panoramas of floating canoes and kayaks that on a sunny August afternoon would challenge the talents of even the greatest painters. Maybe that’s what makes the Connecticut River so special. You really have to be there to understand its immortality.